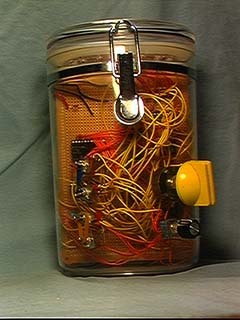 the spaghetti device was a rough prototype for the circuitry used in the installation on a hill in eastern pennsylvania. 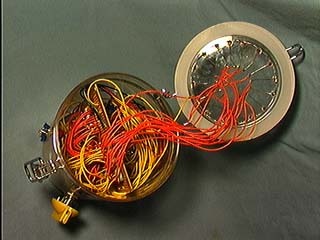 The circuit used in the final piece ended up being a lot different, but the spaghetti device is still a pretty interesting (and really weird looking) experiment. 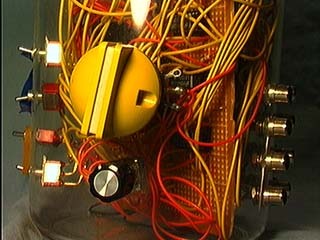 the spaghetti device has 2 inputs and 16 outputs. Its main function is to take audio from the 2 inputs and distribute it to the 16 outputs one at a time. 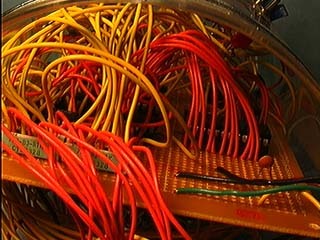 There are red LEDs on the top of the device that track which of the 16 outputs is currently connected to the inputs. 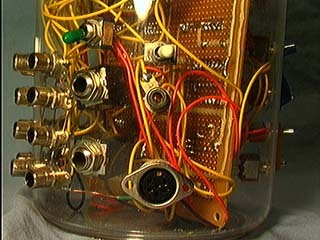 The original idea was to have a large number of speakers spread out in a space and to use the spaghetti device to make the sound move though the space. The speed of the movement is controlled by the large yellow dial. There are also a number of switches that allow you to increase/decrease the number of outputs actually used and to switch from stereo input to mono. Another neat thing is that the spaghetti device can be used backwards - it can take up to 16 inputs and switch them to 2 outputs. 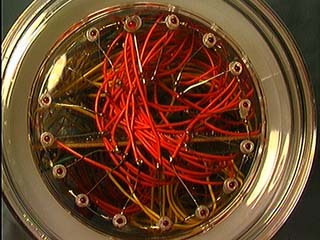 So, for instance, 16 people could be speaking a text and the spaghetti device could switch between them very rapidly. 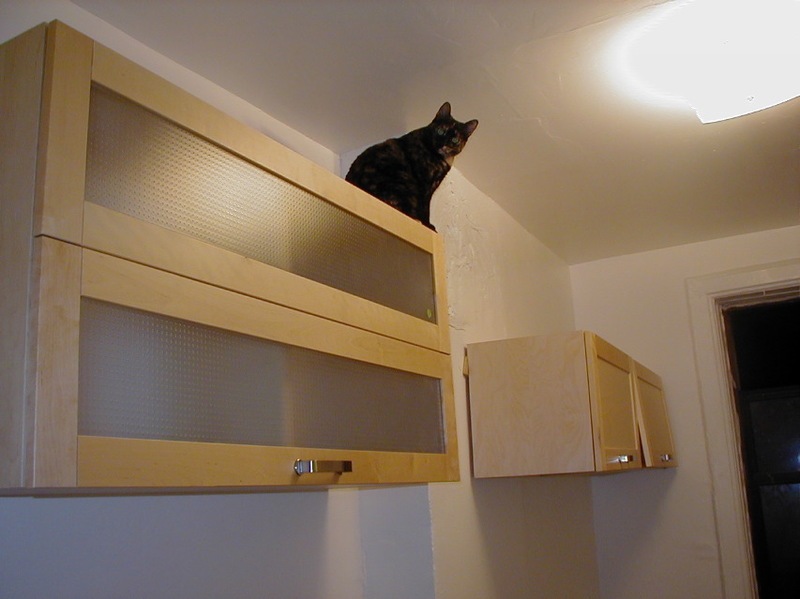 Sadly a very bad kitty recently knocked the spaghetti device to the floor, breaking it. BAD KITTY!